Jackie Gilbert often commutes between Alexandria and Rockville -- so zipping past traffic using the newly opened I-495 Express Lanes between Springfield and the Dulles Toll Road sounded great. "I was really excited about the Express Lanes, especially given this time of year with the traffic," Gilbert told News 4. But there was just one problem: Gilbert started using the all electronic toll road without an E-ZPass. She took 16 trips on the road since it opened about a month ago and figured it would just be a small fee to ride without an E-ZPass. She was wrong. "I was prepared to pay a fee, and when [they] told me it was $225, my first reaction was, 'Holy cow!'" Some residents of Alexandria are fighting against the I-95 express lanes project over pollution concerns. News4 Transportation Reporter Adam Tuss reports. Drivers who take the Express Lanes without an E-ZPass can visit the Express Lanes website within five days to use the "missed a toll" function. But if they don't, they get hit with a $12.50 service fee -- per trip. That $12.50 is for the cost of checking a license plate, processing the transaction and then sending out a fine. 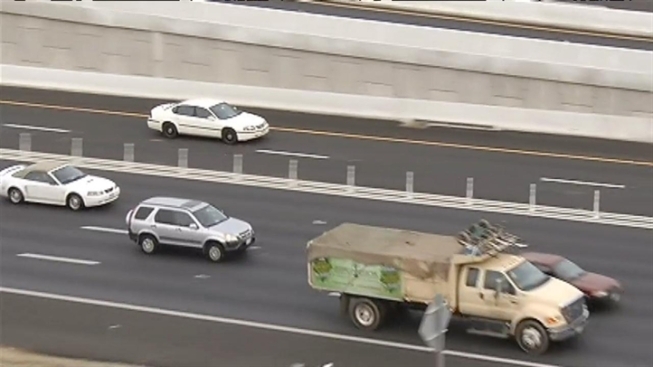 Drivers are warned to be careful on the new Express Lanes -- there have been five crashes since they opened. Most involved cars trying to avoid merging into the lanes. The operator of the lanes, Transurban, says this is a good reminder for everyone on the road. "You've got to do a little homework so that when you get out there you actually know what you're getting into -- that you need the E-ZPass," Pierce Coffee with Transurban said. Luckily for Gilbert, the Express Lanes officials worked with her to wipe away the high service fees. She says she learned her lesson, and her E-ZPass should be arriving in the mail this week.